Although mice and rodents are small, they can cause major damage to your home . If you are worried about a mouse control issue on your property, do not hesitate to contact an exterminator serving Crystal Lake. Professional mouse extermination services will allow you to completely eliminate the colony of rodents that have infested your home. Complete elimination is the best way to protect your household against rodent damage. Once your rodent removal is complete, there are a few steps that you can take to protect your home from damage in the future. Since rats and mice can fit into tiny cracks and holes, you should be sure to seal up entrance points that they may be able to use to get into your home. Storing your food in airtight containers is another way to deter rodents and protect your property from damage. 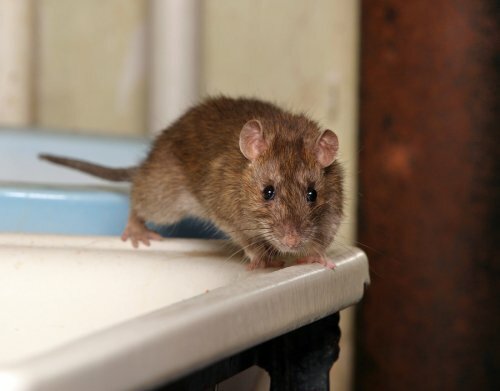 By consulting with a mouse extermination professional, you will learn all the information that is needed to keep your home free of bothersome rats and mice. Exterminators in Crystal Lake know everything there is to know about house mice, including their habits, their size, and how to conduct proper mouse control . However, many homeowners will have a mouse infestation without knowing anything about their tiny invaders. Let’s look at some facts about house mice that might help with future mouse control. Fact #1: Mice can squeeze through tiny openings. House mice are already small creatures—typically weighing in at half an ounce—but they have the ability to mold and shape their bodies to squeeze through tiny openings when they need to. Through openings the size of a dime, a house mouse may have access to your home. Fact #2: Mice can spread dangerous diseases. Though a mouse infestation can be annoying and damaging to a house, it can also be dangerous to humans’ health. Mice can carry up to 200 human pathogens, including the Hantavirus and Salmonella. Both of these bacteria can cause significant health problems and even cause fatalities if not treated right away. Effective mouse control is the only way to prevent these dangerous diseases from entering a house. Fact #3: Mice can eat up to 20 times a day. Even though house mice are exceptionally small, they are still voracious eaters of almost anything they can find. One mouse can eat about 15 to 20 times in one day; the food source will typically be grains or cereals found in house pantries. However, house mice will also eat or utilize other materials for their nests. These materials might include linens, cardboard, and even wood. Fact #4: Mice can reproduce rapidly. Another aspect of effective mouse control is to not allow mice to reproduce. One female house mouse can produce up to 50 offspring in one year. If even a quarter of those offspring are female, a mouse infestation can begin very quickly. 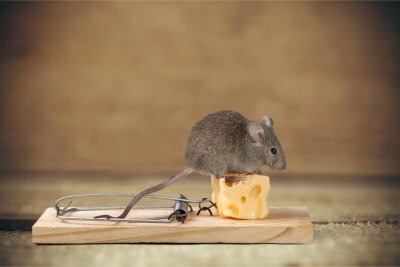 Mouse control and removal is the only way to avoid a rapidly-growing infestation. When you are dealing with a mice infestation in your home, you may be surprised at how these rodents can fit into the smallest of holes. In this video, you will learn all about how mice fit into small spaces. Since mice are built for burrowing, they have adapted to sneak into very small cracks and crevices. To prevent mice and rodents on your property, it is a good idea to set up mouse control in Crystal Lake . During your mouse control appointment, your exterminator will identify any potential areas around your property that could be vulnerable to mice. By sealing cracks, crevices, and holes, you can make your house nearly impenetrable to a mouse population. Performing mouse extermination before the start of winter will help you avoid a seasonal pest control problem. Are you afraid of getting fleas in your house near Crystal Lake? A flea infestation in your home can be difficult to control, so make sure you take preventative measures to avoid this problem. Keep reading to learn what pest control practices can keep fleas at bay. Fleas are attracted to overgrown areas because the excess growth gives them a good place to hide. That’s why it’s important to take extra care of the yard around your home by mowing the grass and keeping shrubs well-trimmed. Remember that sunlight and the movement of air can kill flea larvae, so let nature do the work for you by spacing shrubs out when you plant them and keeping them away from the side of your house. Lastly, you can use special yard flea sprays to ensure that fleas stay banished from your landscape. Fleas can often enter the home on the back of a pet, such as a cat or dog that goes outside often. There are a couple of steps you can take to deal with this problem. First, use a flea treatment on your pets. You can usually buy these at a pet store or from your veterinarian. Second, brush or comb your pet’s fur before it comes inside the house. Third, keep your pet’s fur short so that fleas are less likely to hide in it. Properly cleaning and maintaining your house can go a long way in keeping it pest-free. In their early stages as eggs, larvae, and pupae, young fleas tend to find their way into soft carpeting or shaggy rugs. Prevent these fleas from surviving by vacuuming at least once a week. In addition, be sure to practice proper rodent control around the house. Fleas can easily enter your home on the fur of rodents such as rats or mice. Remember that mice extermination is a part of flea control, too. Do you find yourself longing for the warm summer sun? 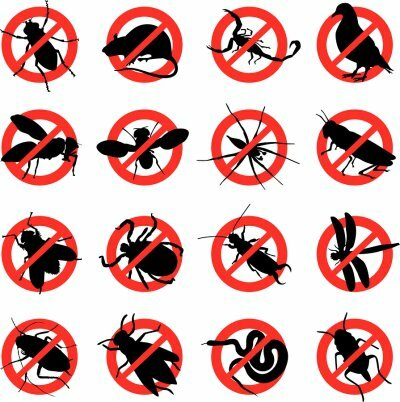 While winter may seem long and drab, at least you won’t have to deal with summer pest removal in Crystal Lake for a few more months. Mosquitos are the pests most commonly associated with summer weather, and even though you may not see them buzzing around, they’re likely not far away from you at this very moment. If you’ve ever wondered where mosquitos go in the chill of winter, this pest control video from PestWorld will be very helpful. You’ll learn the basics of mosquito hibernation, and the different hiding places that mosquitos can hide in colder temperatures. Armed with this new knowledge, make a phone call to your local pest control expert near Crystal Lake . They can help you prepare for year-round pest control services to keep your home pest-free no matter the weather. Between spiders, mice, and wasps, there are plenty of pesky pests that may bother you as you try to relax outdoors. When it comes to mosquito control in Crystal Lake, however, your interactions with outdoor pests may elevate from inconvenience to serious danger. In addition to their itchy bites and potential to harm livestock, mosquitoes are known to carry a number of diseases that can threaten your general health or that of your family members. Read on to learn about the problems associated with mosquitoes. If you notice a high volume of mosquitoes on your property, it is a good idea to call your local pest control service immediately; although you cannot tell if they carry diseases, prevention is key in staying safe and preserving your health. Certain mosquitos may carry St. Louis Encephalitis, which is a potentially fatal disease that tends to have more pronounced effects on individuals over the age of 60 ; it is worth noting, however, that St. Louis Encephalitis can affect people of any age. While humans tend to receive this disease from mosquitoes, it is the bird population that actually maintains it; mosquitoes feed on infected birds, and then they go on to bite humans and transfer the disease. Perhaps the most recognizable disease carried by mosquitoes is the West Nile Virus. This virus is similar to St. Louis Encephalitis in that mosquitoes transfer the disease from birds to humans, but it is different in that those who are bitten by a West Nile Virus-carrying mosquito stand a better chance of making a full recovery. West Nile Virus also tends to affect older individuals more critically, but this age range starts at 75 rather than 60 years old. 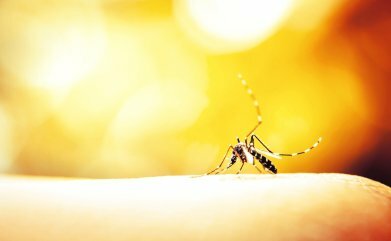 Mosquitos that carry Eastern Equine Encephalitis are particularly dangerous because of the severely ill effects that the disease may have upon humans. This disease is more likely to be fatal than any other mosquito-borne disease, and even those who survive tend to experience serious impairments like paralysis and mental disabilities. Eastern Equine Encephalitis is most dangerous to those under 15 or over 50. Have a mosquito problem? Call (847) 529-2847 today!